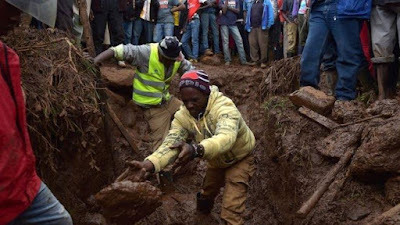 Heavenly Father, we pray for the residents of Solai, Kenya, who were affected by Wednesday night’s Patel Dam collapse. This burst has caused massive destruction to a region that has already experienced torrential rain for the past two months. We grieve over the loss of life and pray for the families of the victims, many of which were children. Bless them as they mourn and sustain them with your strength. We pray for the residents who have been evacuated and displaced from their homes. May they soon be able to return and start the process of rebuilding. We pray for the schools that were swept away in the floodwaters and the effect this will have on educating the children of Solai. We pray for the overall economic impact to the region, for the farm whose crops were destroyed and for the many workers who are now unemployed. Give them hope for the future. Lord, we ask for wisdom for Governor Lee Kinyanjui as he makes decisions and allocates resources to rebuild infrastructure and provide for the people of Solai. May he act with compassion and love. We are grateful for the Kenya Red Cross. Guide them as they continue their search for those who are missing. We know the challenging conditions they face and we pray that they are successful in their rescue efforts. Father, we remember your covenant with Noah and we cling to your promises. We thank you for all the ways that you provide for us and show us mercy. In Jesus’ name, amen.